The boom in China’s box office is mainly attributed to the growth in the number of modern multiplexes catering to a growing middle class. Yet an equally important role has been played by convenience of mobile ticketing, which enables flexibility, impulse buying and seat selection that is valued by the 80, 90 and 00 generations (i.e. born in those decades), who are the main drivers of China’s cinema growth. Financial website Tiger Sniffing Network (!) profiles the rapidly evolving market and interviews people from three of the leading Mainland mobile ticketing providers: Pull Movies founder Kai, a Cat Movie insiders (interviewed anonymously) and Micro-Channel Movie Tickets founder Lin Ning. O2O (Online To Offline) mode, also known as the offline business model refers to the purchase of consumer online marketing online and offline operations driving under the wire. O2O through promotions, discounts, information, service book, etc., the next line of the message store pushed to Internet users, which will convert them to customers under their own line, which is particularly suitable for the goods and services necessary to store the consumer, such as dining, fitness, movies and shows, beauty salons, and department stores such as photography. In understanding Chinese consumers, particularly 80/90/00, it is important to appreciate the mobile-first, as well as savvy bargain, discount and special deals mentality that underpins consumer behaviour. Added to this there is a strong element of social networking, using WeChat (messaging), Weibo (Twitter-type ‘micro-blog’) and other social apps, whereby peer influences and decision guided purchasing decisions for both goods and services/experiences. The article begins by pointing out that mobile movie ticketing vendors are in a unique position in terms of being enablers, rather than just middle-men between cinemas and their potential audience. Online seat selection is typical of the O2O industry, where they provide cash flow from online and complete the import line. A mobile phone app will be able to direct the attention of online marketing to generate transformed into the purchasing power of the line at the box office, it is probable that all the movie marketing companies currently can not match the “creativity.” They are closer to the audience than the cinema, so they have amazing box office pulling power to entice the film side more and more to cooperate with them. There is thus a power that rests with mobile movie ticket companies that is stronger than in most other parts of the world. This change has not come about overnight and the article does a good job of providing a chronology of how ticketing software systems have evolved in China over the past two decades. 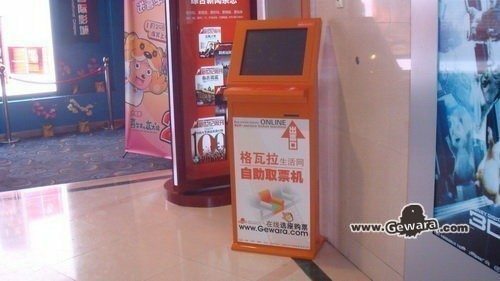 2000 to 2003 – Over four years China has 1,068 theaters to install and use a different version of the computer ticketing system. For the central government, implementing a reliable software ticketing system meant being able to clamp down on tax evasion as well as gaging a better view on actual box office numbers. This put cinemas ahead of many other service industries where true numbers were ‘concealed’ from official count, as the article notes. Despite the early “distribution network” is not completely cure evasion concealed box office, but compared with other service industries, cinema industry informatization construction after two decades of accumulation and iteration, has enough lead, and this just is online seat selection platform to quickly access large technical prerequisites theater. You can not imagine, O2O players how to quickly and efficiently access a wide range of the country millions of different magnitude catering business cash register system. And over the past decade due to the rapid development of the Chinese film industry, standardization, scale theater has a very high degree, online seat selection and asset providers once linked companies or movie theaters CIC contract that can scale to promote market coverage. Yet for consumers, the most important development cam not just in better pricing from Groupon-style competition between different operators, but also the move from online cinema ticket sales to online seat selection. This meant that Chinese cinema goers no longer had to buy their tickets “blind”, i.e. without knowing where in the auditorium they would be sitting. Online and mobile cinema tickets is thus a win-win for cinemas and consumers, with the former less likely to be left with un-sold inventory (empty seats) and the latter having greater flexibility and transparency in buying a cinema experience. Yet if mobile online ticketing is such a powerful, not to say lucrative, enabling platform, the question arises why the cinemas themselves or the distributors have not launched this either on their own or in partnerships. The answer is that with the exception of a few large exhibitor players, the market has been too fragmented, with too little leverage both upstream and downstream. While the import of Hollywood films is tightly controlled and the censors have a strong say over what is and is not allowed to be shown on Chinese screens, once a film is cleared for screening it is a very messy free-for-all and de-regulated market. The interviews in the article makes that abundantly clear. Online seat selection crashing is another important reason for the rise of the Chinese film industry’s own “decentralized” – the large number of front-end of the production company, and with the “national team” in the distribution end of the gradual loss of a strong position, private distribution companies in theaters the theater also limited by the terms of the control of capital strength and difficult to “take advantage”, so the whole front end of the six major Hollywood studios rarely has the same issue with a strong control of the big players. The show is also true back-end part of the country where more than 30 theater companies created mixed, too scattered situation, with only a few players such as Wanda Cinema or UME shadow CIC have strong assets linked the big players that have the potential to become a giant. Kai believes that when the online seat selection Internet players cut to join the distribution and exhibition of the middle of the market, because the upstream and downstream ends of the bargaining power is too weak dispersion of lead, giving mobile ticket operators the Cat, Including Movies, Pull The Film, Micro-Channel Movie Tickets Online seat selection a greater voice. The argument is that allowing for pre-sales gives theatres a stronger position to plan and optimise the film booking. It also potentially puts Big Data (the buzz word de-jour) in the hands of cinema managers, which can be used in a variety of areas beyond just seat and screen selection. The article makes clear that power has shifted to the consumers but that cinemas can benefit as well in this new scenario. The benefits of such Big Data will only become apparent to cinemas over time as they can adjust booking patterns, programming, price and seat offerings, not to mention promotions, marketing and even concessions to capture emerging consumption trends. But the article acknowledges that this step-change is “subversive” and will require a shift in the current exhibition industry attitude. The greater danger highlighted by the interview with Ling is the creation of a permanent expectations consumers of cheap cinema tickets. This has already ben demonstrated in the US with the collapse in the share value of Groupon and similar bulk-buying operations. But Lin Ning also points that they can increasingly predict the likely success or failure a film will be at the box office and that this help in terms of cinemas making programming decisions. For “Brotherhood of the Blades” they were able to predict that it would generate “high heat” at the box office. Similarly, the surprise hit that was the re-release of the 10-year old Hong Kong film “Journey to the West” was a success that his company could predict early on. 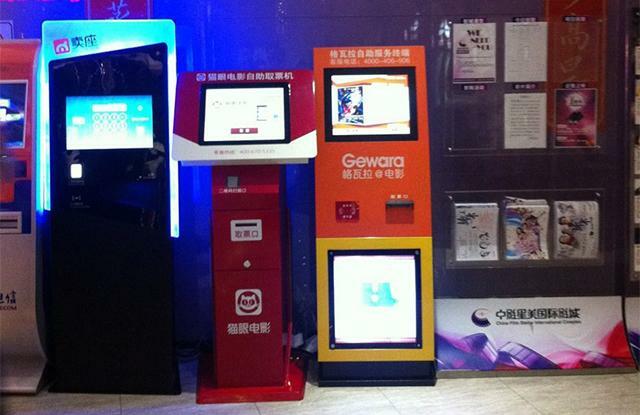 Yet major exhibitors lead by Wanda are now trying to consolidate and streamline the proliferation of not just mobile movie ticket vendors but also the situation with multiplexes having as many as ten different machines dispensing the tickets bough online. Wanda Cinema has unified the various online seat selection’s a ticket machine, that whether you are a Micro-Channel Cat Movies or Movie Tickets, or Pull The Film, as long as access to Wanda Cinema platform online seat selection, movie tickets have to be sold through their own terminal equipment Wanda Cinema ticket. Wanda Cinema’s online seat selection “Merge”, also shows that a large cinema companies for membership / user data importance – not only should not interfere with my membership system, but also to put your data on their platform precipitation, for their own use, mining and create value. But Wanda is one of a few, most of the domestic cinema has long despite its own membership system, but did not have enough technical ability and thinking of ways to structure these membership data, of course, unable to tap its value and create new value – – the value of customer data in the Internet age is self-evident. Yet even Wanda, as the largest exhibitor operation in Mainland China, still only represents under 15% of box office, so the fragmentation of the market means that there is still plenty to play for by mobile movie ticket vendors. This opportunity means that there is plenty of developments in the pipeline for the various operators, who see their platforms evolving significantly. Kai’s Pull The Film has been aimed at the cinema this pain point – lean operations, this is the theater manager welcomed value creation. Pull the film is currently in development of a smart ticketing system platform called CIAS according Kai introduction, can be implemented as do lean theater through dynamic marketing services revenue management and pricing, membership management, thus helping achieve the cinema and theater profit maximization. Lin Ning also predicts that the mobile movie ticket industry is likely to consolidate in the future on China to just two or three major players (similarly to the US). Even so, there is a message that ends the article for the industry to embrace this change – or get left behind. Their war has fully started, and the battlefield is the site of the traditional filmmakers. 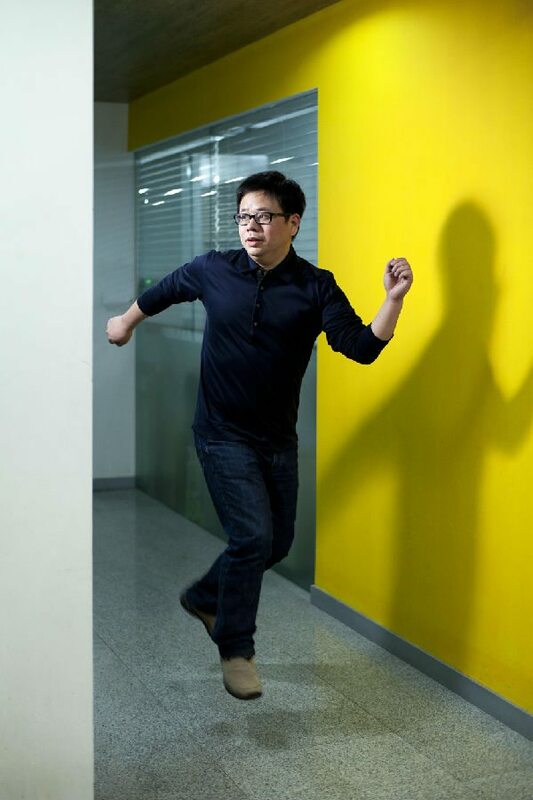 One interviewer with words to the end of the article – it is impossible to wait for the Internet company’s tradition, those waiting will die, so will become increasingly fast. Internet development in three decades, I believe many people have seen this trend, traditional enterprises should take the initiative to accelerate their pace. Traditional enterprises have their own advantages, many technologies, from talent to model, are very open, traditional enterprises should learn to take advantage of this. The Chinese consumers love affair with both their smartphone and their cinema going is not about to end anytime soon. Those businesses that are best at bridging the gap between these two markets stand to benefit the most.